FINISHED PROJECT. 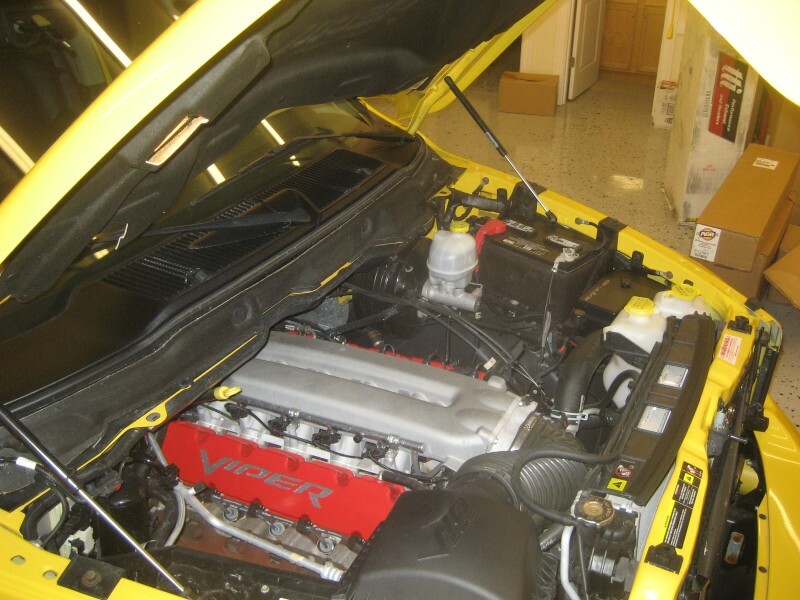 ADD NEW AIR BOX. NEW MAGNAFLOW EXHAUST SYSTEM. COMPUTER UPGRADE. TINT WINDOWS. 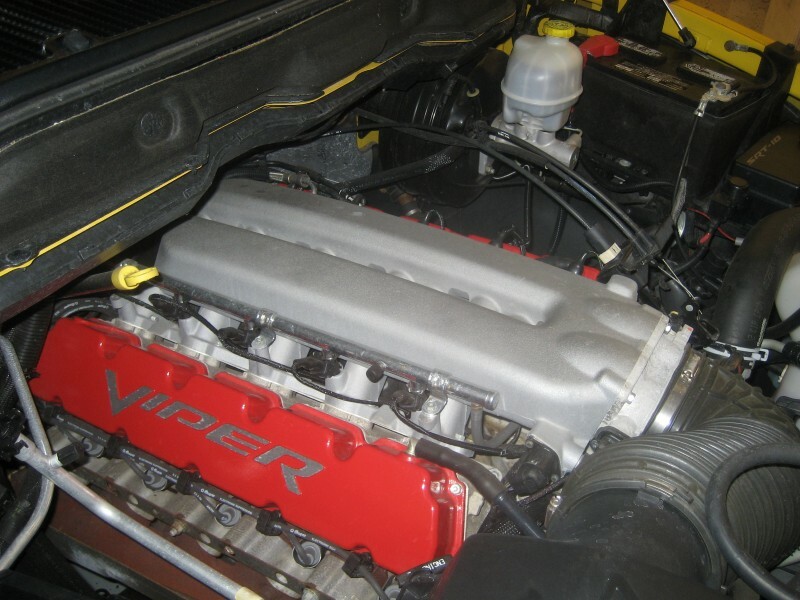 ADD VIPER AUTO START. UPGRADE STEREO TO KENWOOD NAVIGATION SYSTEM. 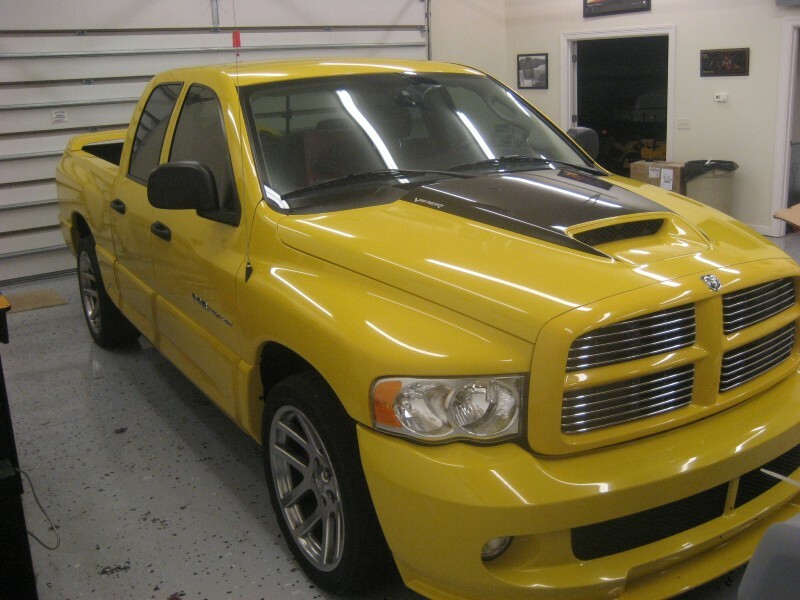 636 HP 651 lb.-ft.
2005 Ram SRT Quad Cab. 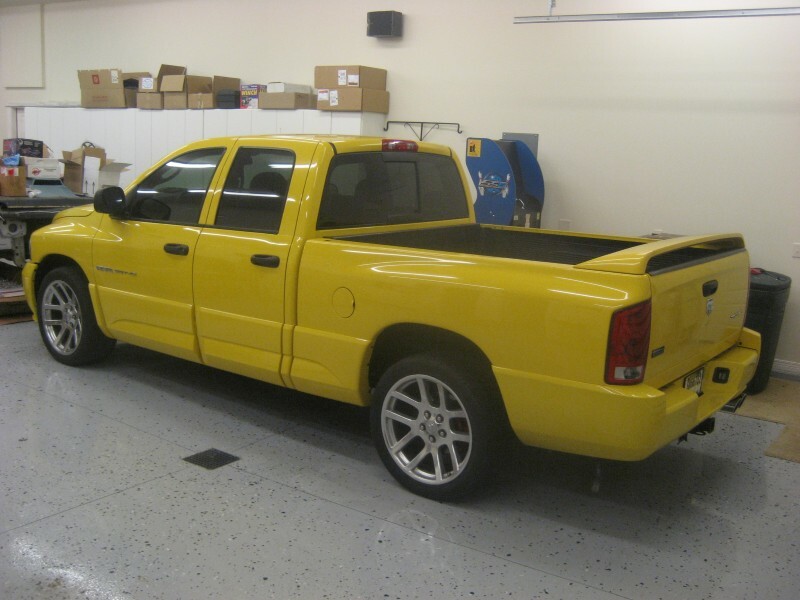 The new Quad Cab version continued to use the Viper’s overhead-valve 8.3-liter V-10, but the wheelbase is 20 inches longer and overall length increases by 16.1. 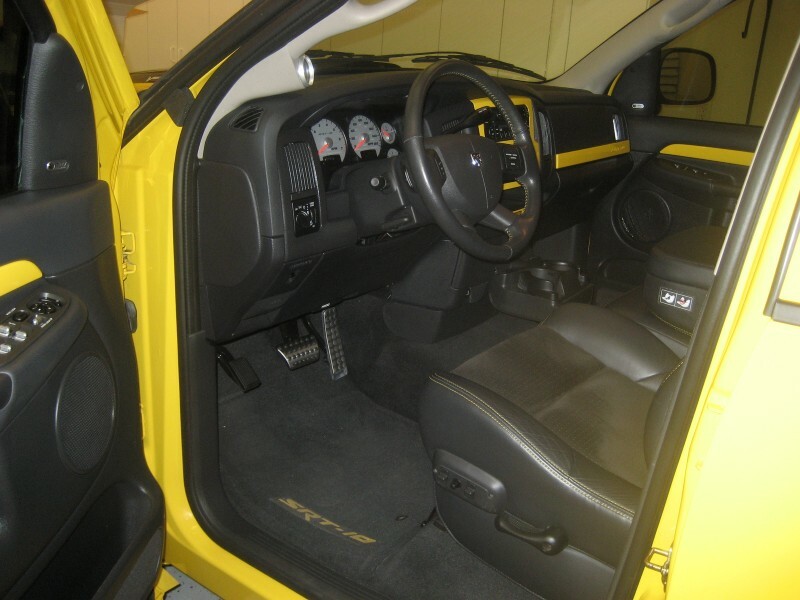 The Quad Cab can accommodate four people, where just two would fit in the regular cab. 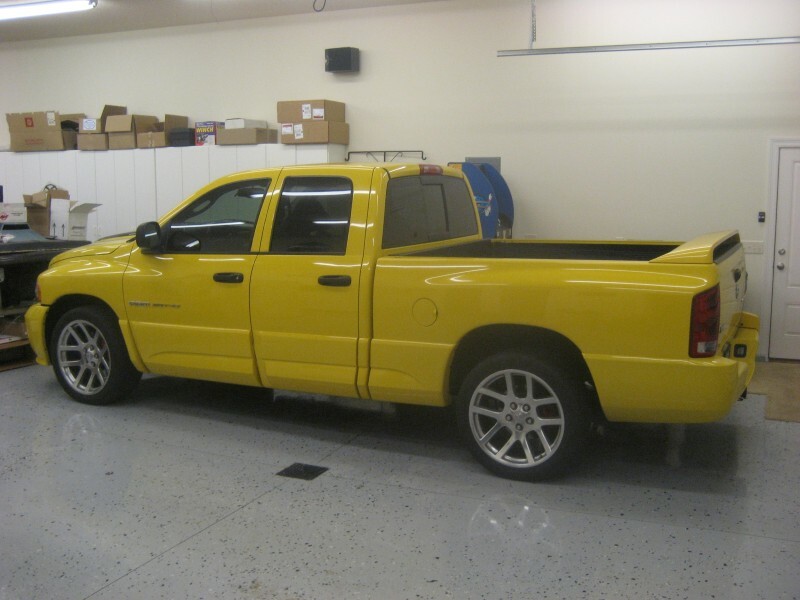 In addition, as the regular cab comes with the T-56 six-speed manual transmission, the Quad Cab’s standard fare is a 48RE four-speed automatic. 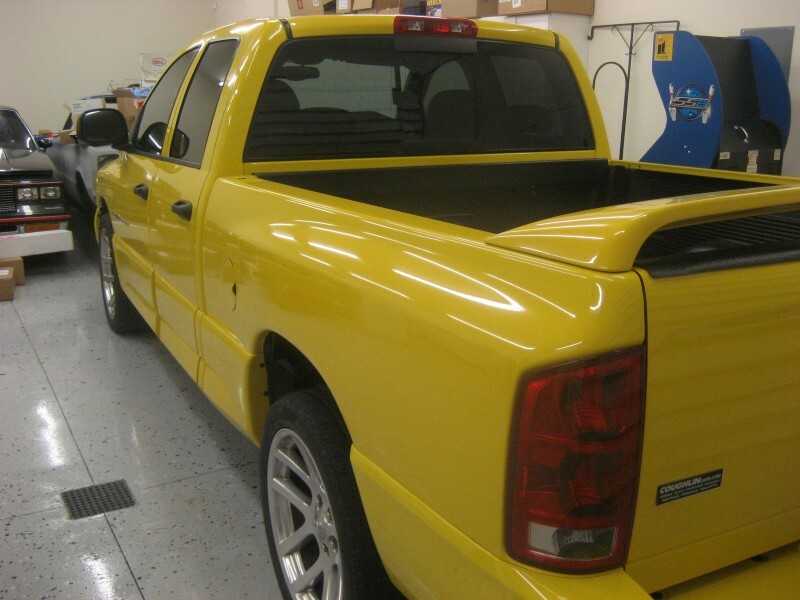 Unlike the first model, the SRT-10 Quad Cab pulls up to 7500 pounds. 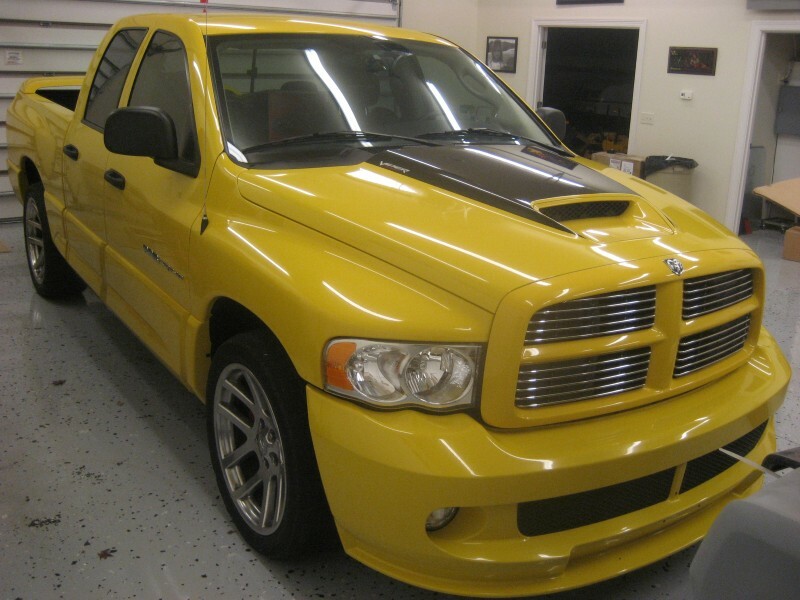 Exterior cues, like on the regular cab, include the hood scoop, 22-inch wheels, thundering dual exhausts, and a rear wing. 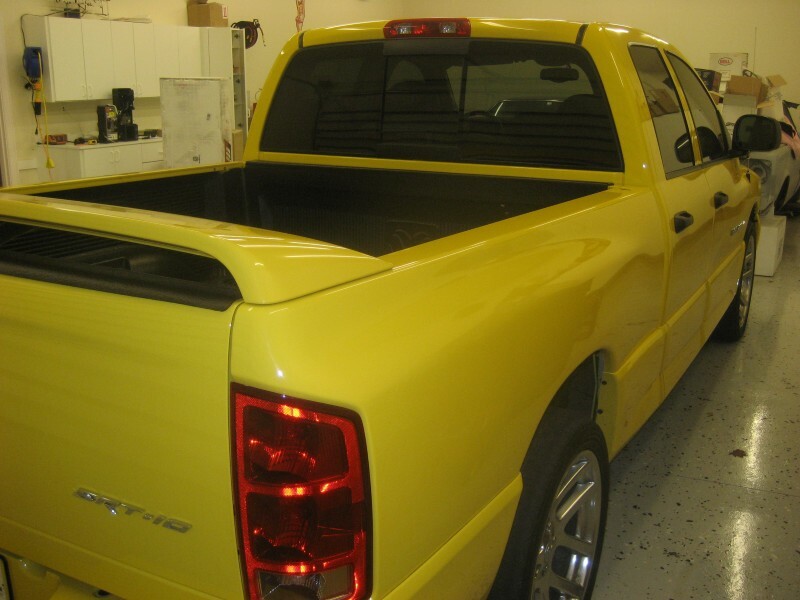 An aluminum tonneau cover comes standard on the Quad Cab and is a new option on the regular cab.